The Sons Of Liberty - Confronting 'End times' Mentality: Raptured From Responsibility? 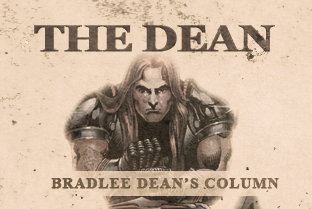 Home - The Dean-Confronting 'End times' Mentality: Raptured From Responsibility? Can you imagine our forefathers, while suffering the abuses of King George, stating, “This is it. It is all over with. Jesus is coming to get us out of here”? While America is enduring an onslaught of abuses greater than those of our forefathers, could it be a self-fulfilling prophecy due to the church’s lack of moral responsibility? In the video below, I confront the 'end times' mentality and prod the church to fulfill its duty to God and country.